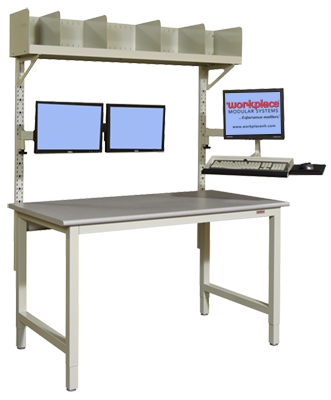 The Standard Workstation is our most popular base platform chosen by customers. It features an attractive straight-leg design that optimizes seating space. Available in a variety of sizes, colors, and worksurfaces with a complete line of add-on accessories that will increase productivity, organization, and comfort. 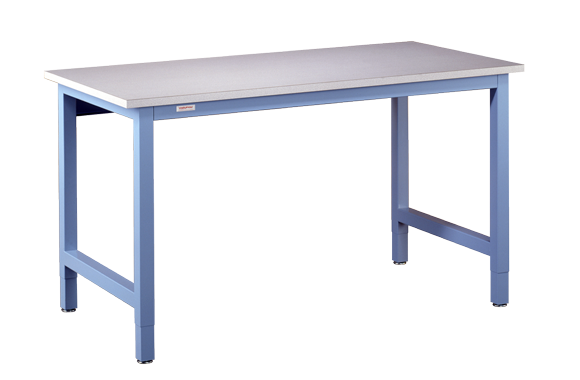 Your investment in the Standard Workstation is protected over the long run, since this worktable stays modular and flexible, year after year. Our Stationary Standard workstations are engineered with features that deliver the optimum combination of durability and flexibility. 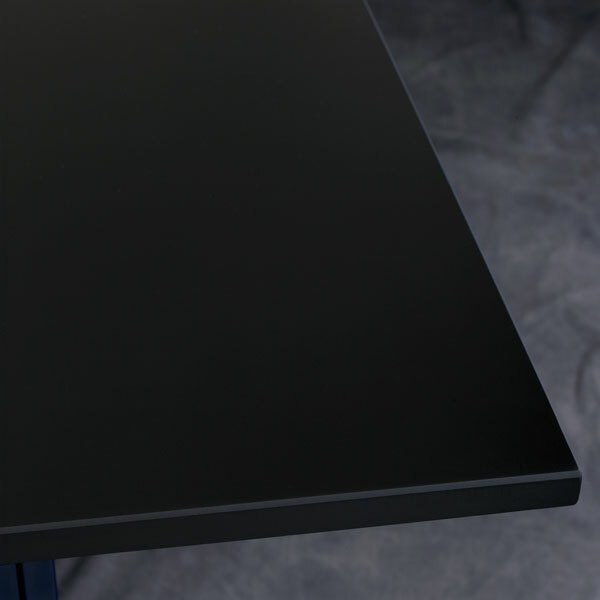 A full-perimeter tube frame completely supports the tabletop, helping to eliminate sagging or warping. 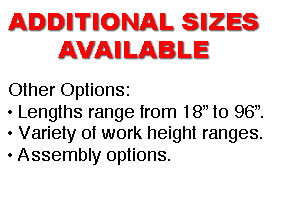 2” x 2”, square 18-guage, furniture-grade steel tubing. Height adjustability, with several different height ranges available. Leg Sections include micro-adjusting levelers, with a 3/4″± adjustment range for leveling on uneven surfaces. Ribbed rubber pads to prevent skidding or marring. 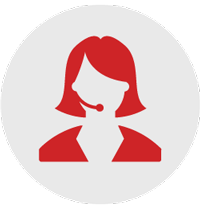 There’s a wide range of available Add-On Accessories that let you configure the workstation to fit your exact task requirements. Workplace Modular Systems Mobile Standard Workstations are ideal for companies and people on the move. For the ultimate in portability order the Standard Workstation as a mobile unit. 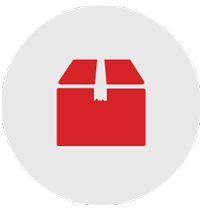 There is no better way to make costly equipment and materials easily accessible to multiple work areas. 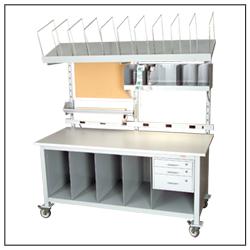 Existing stationary Standard Workstations may also be converted to mobile units with the Mobile Retrofit Kit. 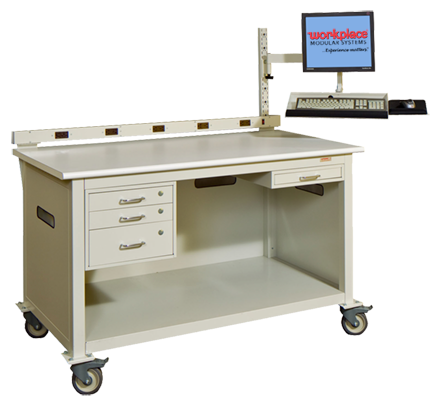 The Instrument Workstation provides the mobility and efficiency required for today’s lab and R&D environments. Its innovative mobile design maximizes valuable lab space while increasing accessibility to equipment and materials. Full-depth, full-length under-table storage comfortably houses materials and additional equipment. Convenient ports provide organized tube and cord management. Optional electrical features include 20A/125V duplex outlets. Integral center-mounted lateral support system provides excellent stability. Manually-adjustable workheight range from 30” to 37”. An optional 15A or 20A Powerstrip may be mounted within the lateral support system. Available in stationary or mobile configurations. Complement your selected Standard Workstation with a huge variety of Add-On Accessories. Designed to increase work efficiency and storage, our wide range of overhead and under-table accessories lets you customize each workstation for specific tasks. Choose from under-table, over-table, computer-related, and a host of other general accessories. 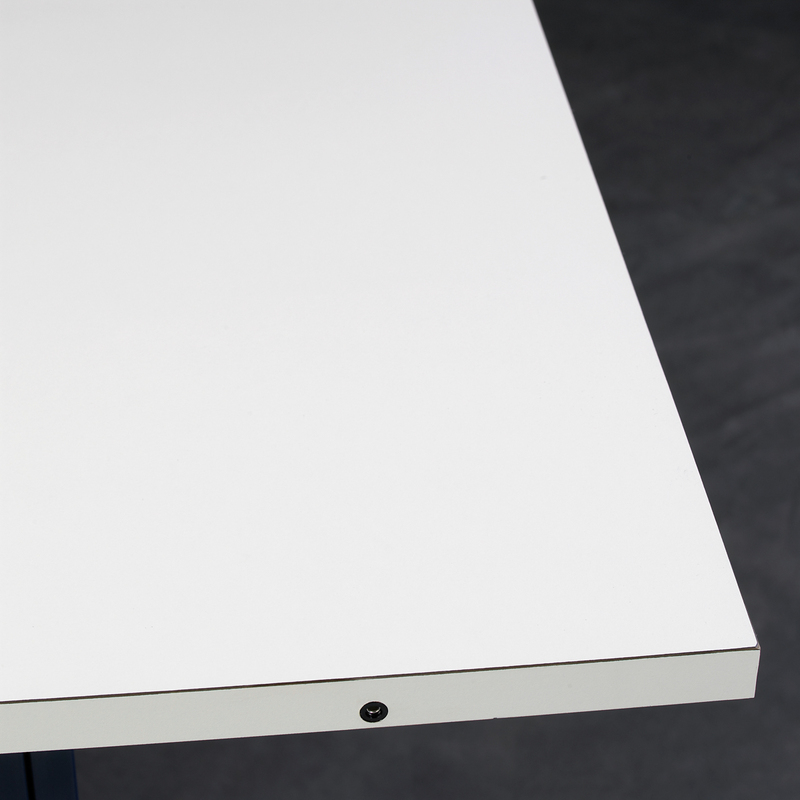 Full perimeter frame provides full support of selected work surface. Drawer brackets are incorporated into the frame at both left and right for easy addition of hanging drawers at any time. 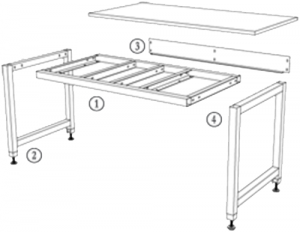 Frame is sized to allow a 2″ overhang of the top at each end of the workstation. Adjustable height leg sections allow work height range from 30″ to 37″ and feature micro-adjusting levelers with ribbed rubber pads to prevent skidding or marring of floor. 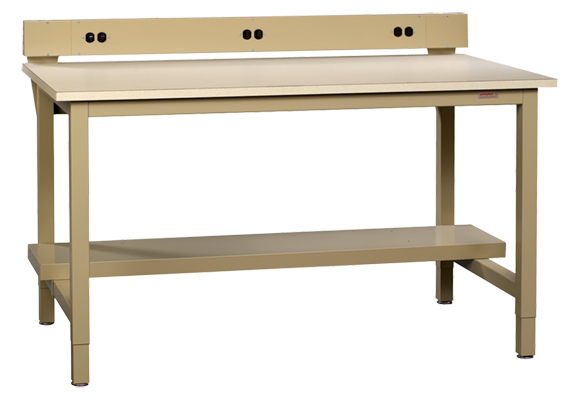 Levelers also provide an additional 3/4″± of height adjustability to provide customized, ergonomic workstations. Full length rear sway brace provides excellent lateral stability. 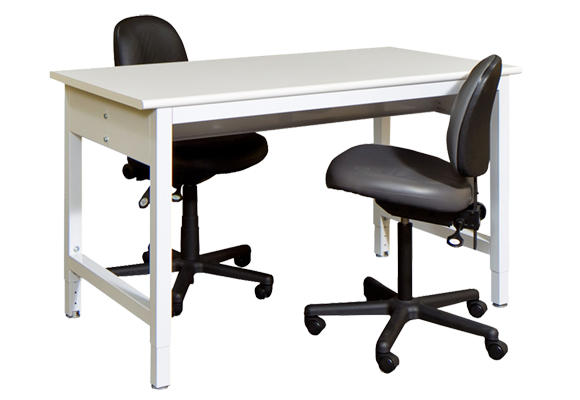 Straight leg design enhances the appearance of the workstation, while affording maximum seating area. 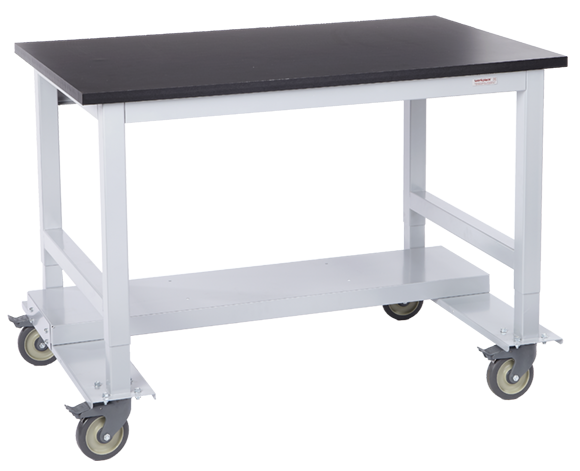 Mobile leg sections with channel caster bases are adjustable in 1-1/2″ increments within a 30″ to 37-1/2″ range of workheight (assuming a 1″ thick worksurface). 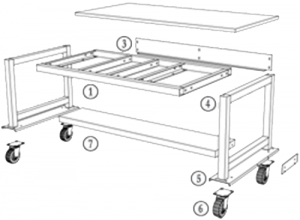 A variety of casters are available for use on the mobile version of the Standard Workstation. Either a welded undertable shelf or swaybar (not shown) provides additional structural integrity to the Mobile Standard Workstation. 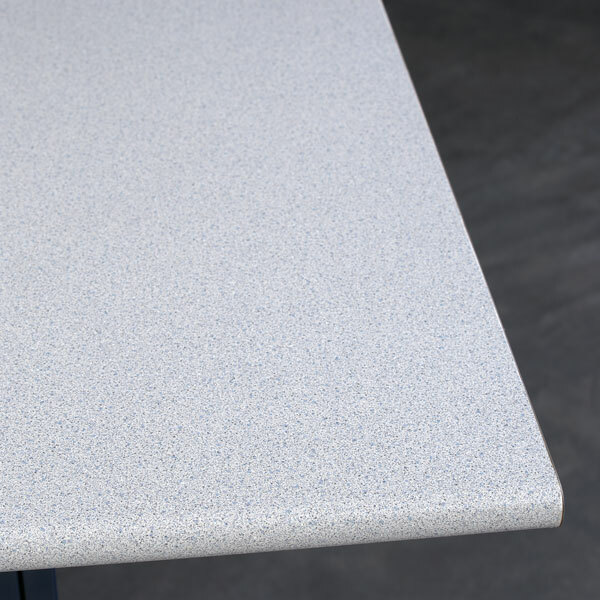 The 1-1/16” thick Plastic Laminate Top features an easy-to-clean surface for many general purpose applications. A core of 1” dimensionally stable flakeboard is covered with a plastic laminate surface sheet and edging of .039” thick high-pressure laminate. In addition, a plastic laminate backer sheet of approx. .020” thickness covers the underside of the core stock and ¼-20 metal inserts are located in the underside of the tops for ease of fastening to many of the Workplace frames. 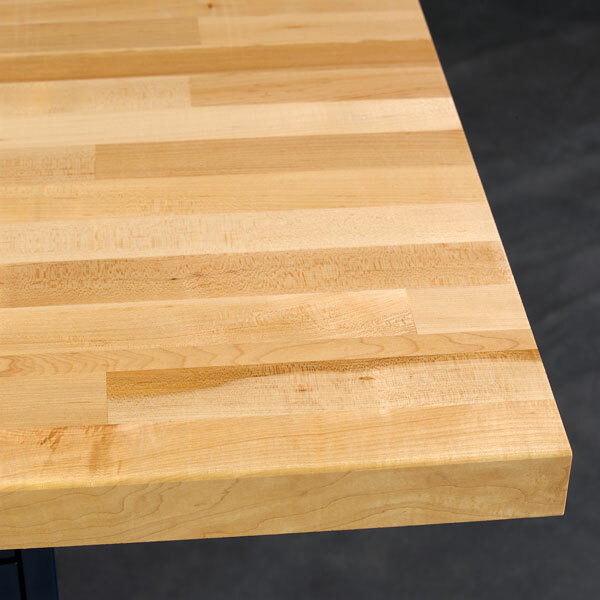 The resulting top is a well-balanced, long-lasting work surface. 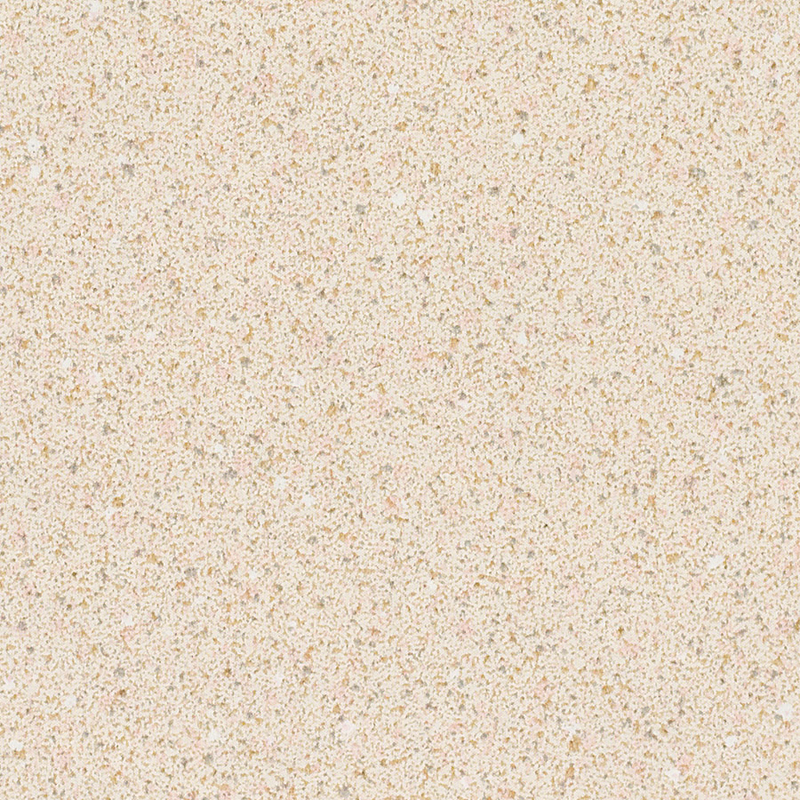 *Most Wilsonart International plastic laminate colors are available. Please call 1-800-258-9700 for assistance. The ESD Tops feature ESD Laminate, a decorative, clean, amino resin laminate which rapidly dissipates static electrical charges, and is recommended for use in areas which must be free of static electrical charges. The ESD Top is equipped with a flush-mount grounding system (factory-installed) with grounding hardware located on the underside of the Top. A flush-mount grounding bolt is located in the top of the worksurface (at the rear). The flush-mount ground system also includes two banana plugs set flush in the front edge for convenient connection of customer-supplied wrist straps. The ESD Top is fabricated with a dimensionally stable 1” flakeboard used as core stock, with a surface sheet of ESD Laminate covering the top surface and all edges. A plastic laminate backing sheet of at least .020” thickness covers the underside of the top.  Note: ESD Tops require connection to your earth ground system. *Additional ESD laminate colors are available. Please call 1-800-258-9700 for assistance. 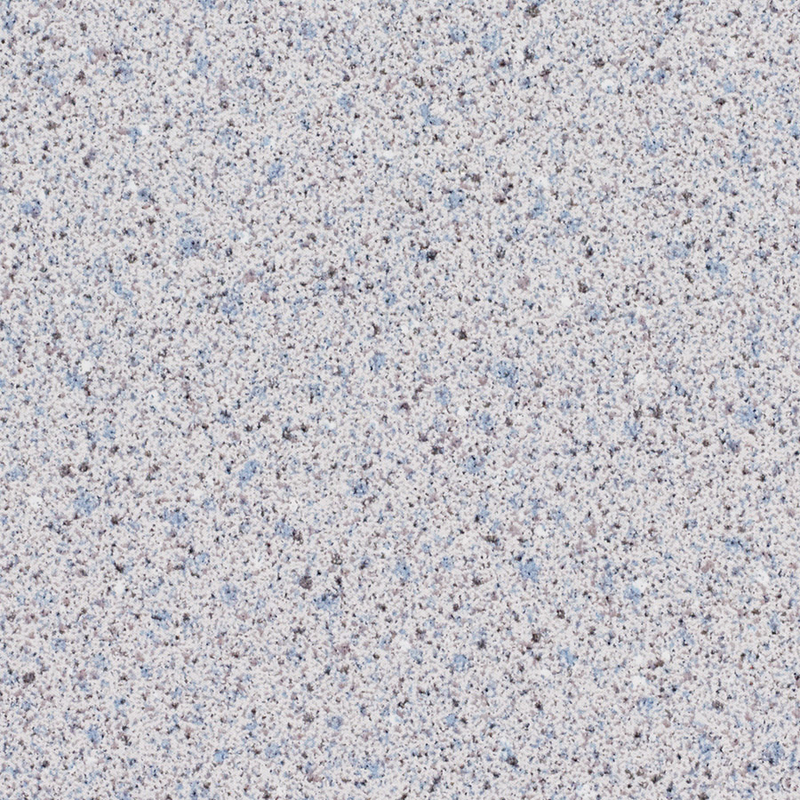 The Chemical Resistant Laminate Tops are fabricated in the same manner as the Plastic Laminate Tops. 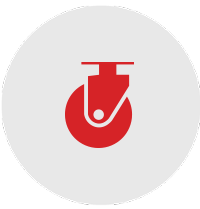 The laminate is a high-pressure decorative laminate recommended for use where accidental spillage of chemical reagents is likely to occur. *Additional Chemical Resistant Top colors available. Please call 1-800-258-9700 for assistance. Epoxy Resin Tops are molded from a modified epoxy resin that has been especially compounded and cured to provide optimum physical and chemical resistance required for a heavy duty laboratory working surface. Tops are 1” in thickness with a drip groove provided on the underside of exposed edges; all finished edges have a slight bevel. Sinks and service fixtures are also available upon request. Note: Silicone adhesive is supplied to mount Top. *Additional Epoxy Resin Top colors are available by request. Please call 1-800-258-9700 for assistance. Note: Add-on Accessories, that suspend from framework (i.e. hanging drawer, keyboard tray, CPU Caddy, etc.) may not be added to workstation after Resin Top is cemented to framework. Note: Silicone adhesive is supplies to mount Top. *Additional Phenolic Resin Top colors are available by request. Please call 1-800-258-9700 for assistance. The 1-3/4” thick Maple Tops are constructed of the finest hard maple, fully cured and kiln-dried. The tough butcher-block construction includes placing the laminations on edge and bonding into a single self-supporting solid panel. Front and rear of the maple top top have a ¼” radiused beveled edge. The Stainless Steel Tops are designed as an inverted pan-type top. They are backed up with a dimensionally stable 1” flakeboard core. The core is fastened to the table frame in the usual manner, and the pan-type top is then placed directly over the core so that none of the core material is visible. With this method, the typical drumming and noise of a straight metal top is minimized and in some cases even eliminated. The standard stainless material is type No. 304 polished finish*. *Type No. 316, No. 2B finish acid resistant stainless is available by special order. Please call 1-800-258-9700 for assistance. 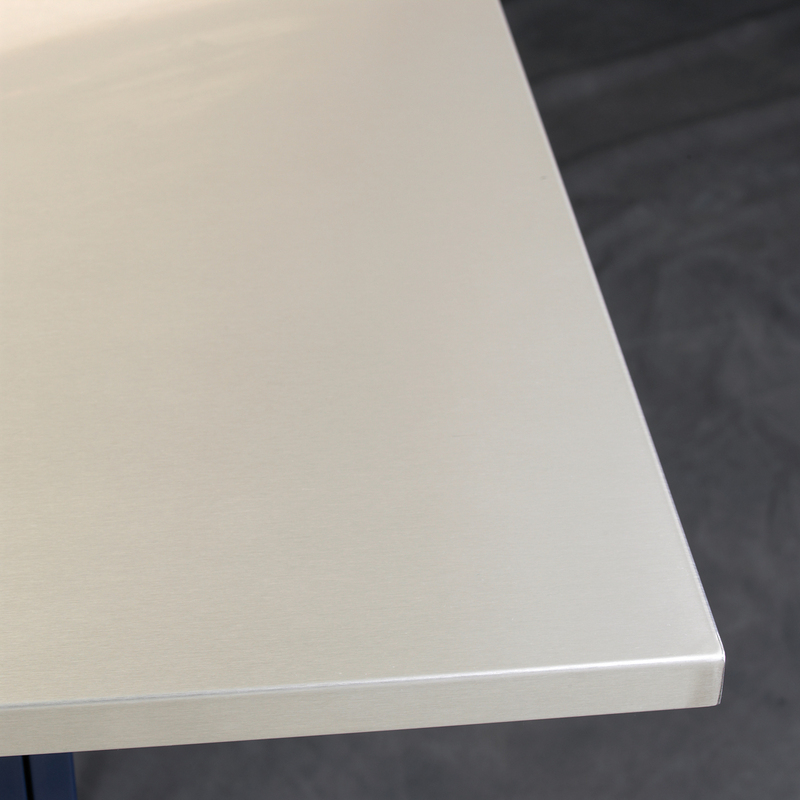 The Cold-Rolled Steel Tops are of the same inverted pan-type design as the Stainless Steel Tops, using 18-gauge steel. 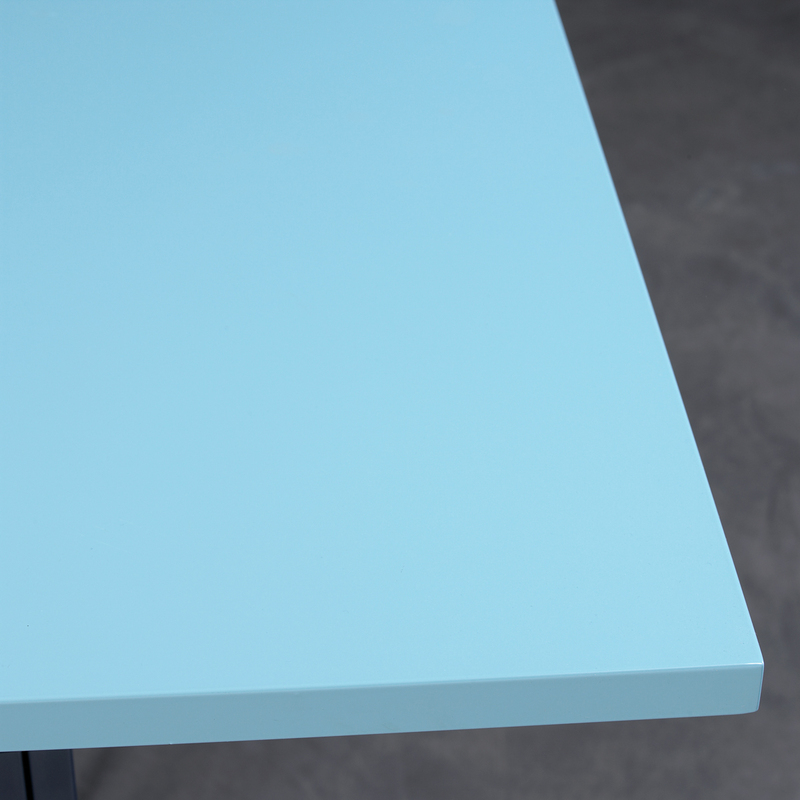 The Cold-Rolled Steel Tops are powder-coated to match the color of the workstation unless specified otherwise.  Many other premium colors are available. Please contact Workplace Modular Systems for additional color selections. Color-matching is also available, subject to additional charge and extended lead time for color-match process.